Please note these are downloadable digital files and are non-refundable. 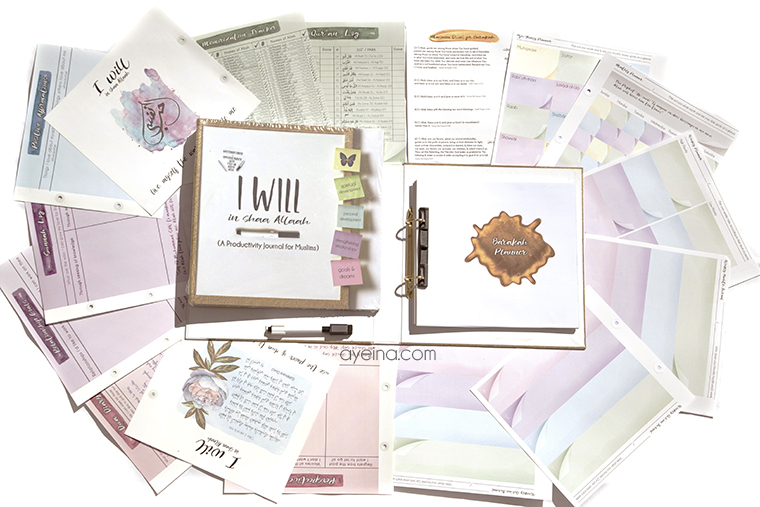 WANT TO CLAIM YOUR FREE PLANNER? 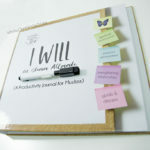 IF YOU HAVE BOUGHT THE PRODUCTIVITY JOURNAL (DIGITAL, SOFTCOVER (AMAZON) OR THE WHITEBOARD BINDER), THEN POST IT ON YOUR SOCIAL MEDIA ACCOUNT AND TAG US! THEN EMAIL US THE LINK SO WE CAN SEND YOUR BARAKAH PLANNER TO YOU IN SHAA ALLAH! 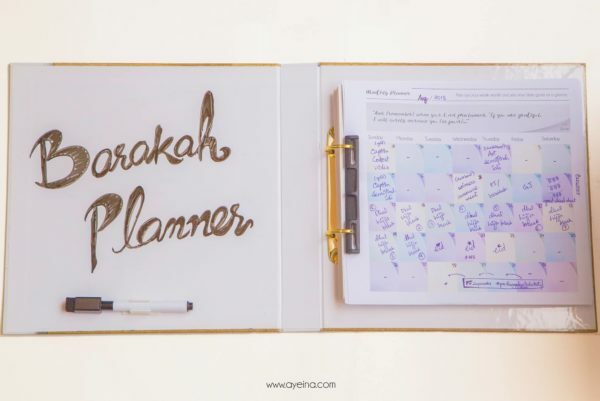 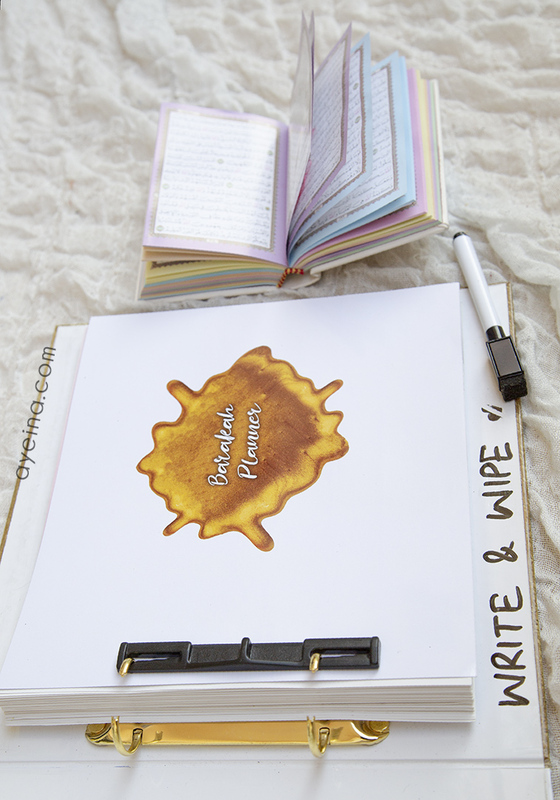 This planner/journal is a continuation of a productivity journal (whiteboard binder) that was published in 2017 to aid Muslims in their spiritual and personal development journey while helping them strengthen their relationships & maintain their goals /dreams. 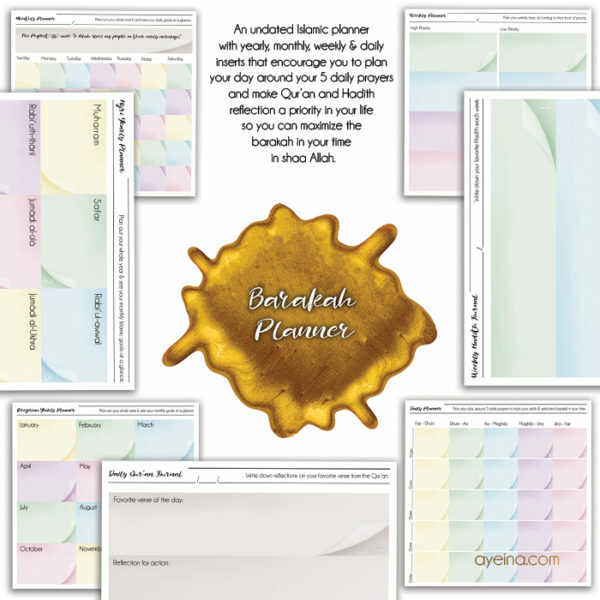 12 out of many ways to welcome Barakah in your life with references of all the points are given underneath each undated gregorian/hijri monthly planner layout. 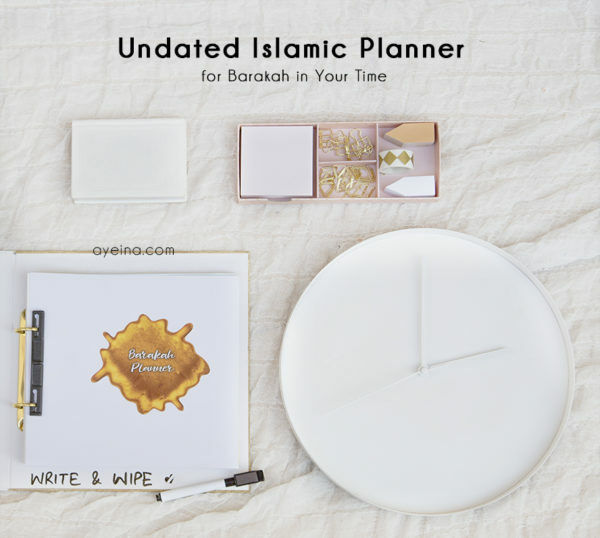 An unconventional undated Islamic planner with yearly, monthly, weekly and daily inserts that encourage you to plan your day around your 5 daily prayers and make Qur’an & Hadith reflection a priority in your life so you can maximize the barakah in your time in shaa Allah. 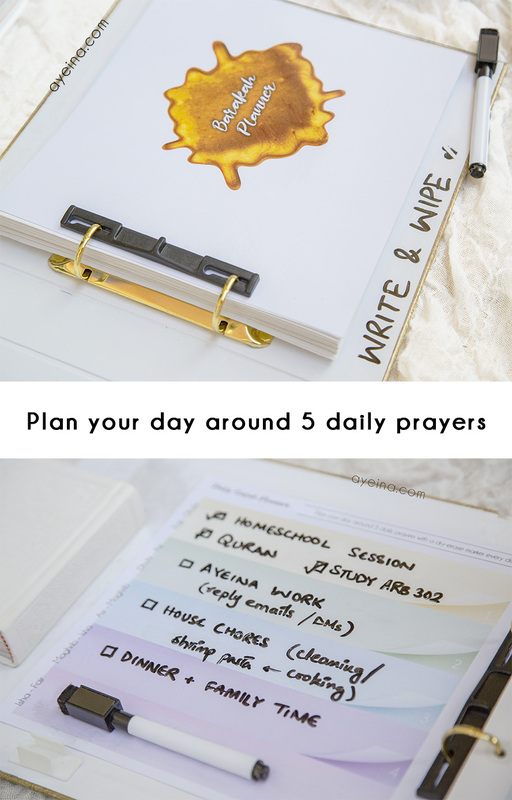 I just started doing this and I have to say, I feel so much more productive and happier. I have tried so many other methods of making a daily schedule, but this one is so much simpler and effective. 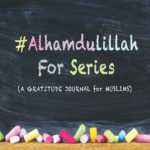 There is so much wisdom in Plan your life around your salah, not your salah around your life. 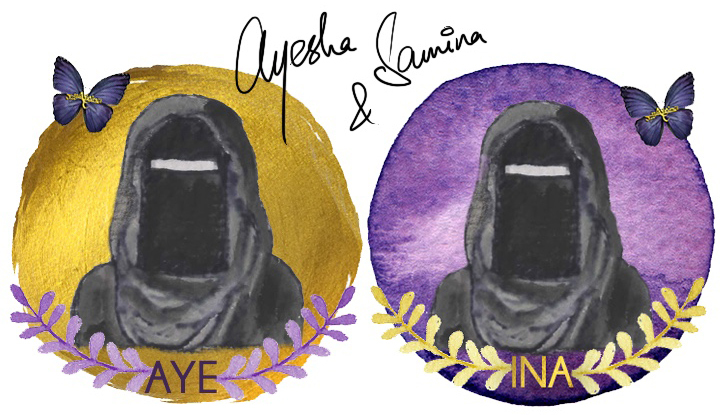 I don’t know why I did not think of doing this before. 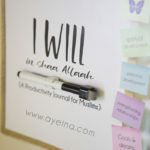 Jazak Allah khair!